They came... they drove… they won…! Was it that simple and easy going for team Orion Racing India? Definitely not!! Perhaps the members of the Orion racing are the only people who could rightfully explain the hardships and struggle behind that glamorous victory in Formula Design Challenge competition! Formula Design challenge- a competition in which almost every engineering student aspires to contribute atleast something- is designed to challenge young and budding engineers by assigning them a task of designing a race-vehicle analogous to Formula 1 race car. Teams of prospective engineers from various colleges from all over the country participate in this competition and the spirit here is no way less than an international F1 race! However, to test the participants thoroughly, this competition is organised in manifold levels and each level is assessed separately. So, one has to be tough physically as well as mentally to survive in this competition. When Team Orion racing arrived at Coimbatore their spirit was roaring as high as a fully revved engine! It was the time to present ‘the best’ in them and they did so in every phase of the competition. Static events of the competition included technical inspection, business plan presentation, design evaluation, cost analysis and much more. But with the strong foundation of knowledge, logical reasoning and able guidance from the professors of K.J. Somaiya College of Engineering, team performed outstandingly in this event securing the 1st place! On your mark...get set Go!! 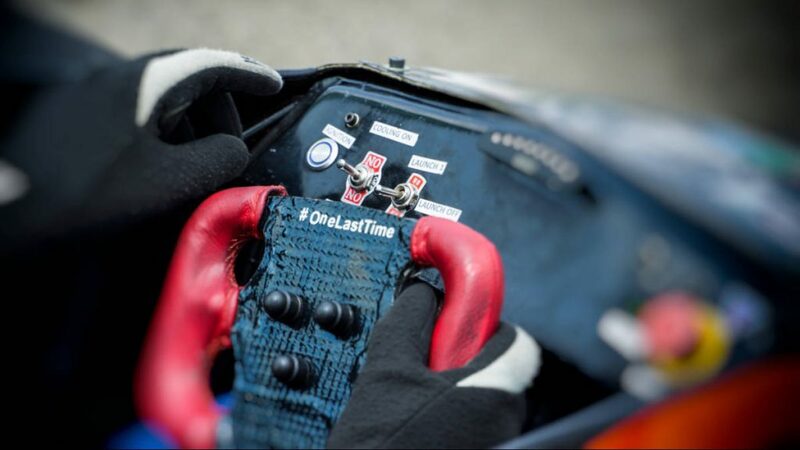 To keep this performance intact during the dynamic events was up to the race vehicle ORI-14 and the driver. With no surprise, they did exactly the same! ORI-14, which is designed by engineers of the team Orion racing, is powered by a rear mounted 600cc engine from Honda. The chassis of this vehicle is made of light weight and strong steel tubes and it also hosts several carbon fibre parts to keep overall weight under check. Suspension and brakes are fine tuned for the race track performance. With all the basics in place, vehicle performed superbly in various dynamic events thereby securing 1st place in Endurance & Fuel efficiency test and 2nd place in Skidpad! 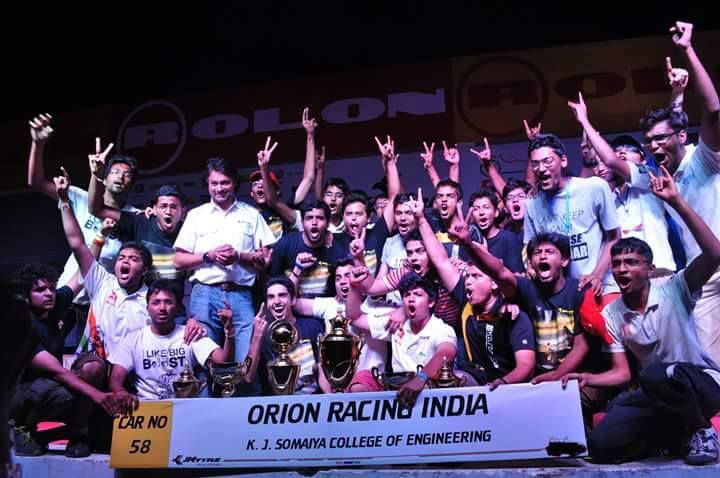 Thus the long running competition finally ended and Orion racing engineers achieved what they truly deserved! We, the Crankit Team, wish Orion Racing India all the very best for all their future endeavours! Home » Articles » And the winner is… Orion racing ! !